Sign-up and receive Property Email Alerts of Residential New Developments in Kenilworth, Cape Town. A cluster of three - a home and two plots, this is a brilliant opportunity to purchase in Upper Kenilworth! The two plots allow you the freedom to build your own home to suit your requirements. There are proposed plans for a double storey, with 4 bedrooms, with 4 bathrooms, featuring open plan living spaces, separate guest suite, veranda and double garage. 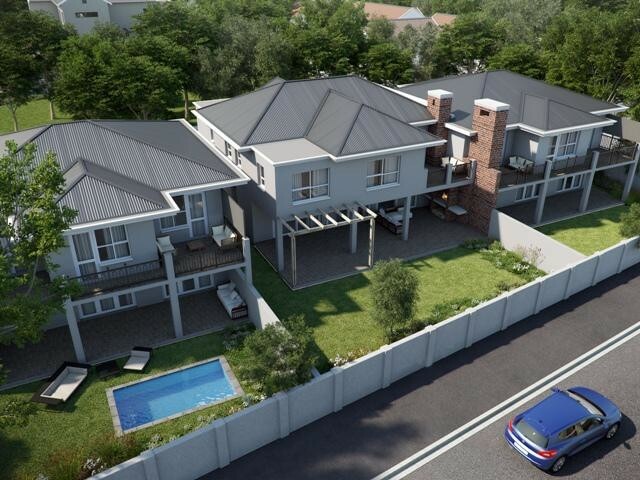 Vacant Plots were priced at R2,100,000 and R2,200,000 respectively and the house is R4,500,000. Selling price includes transfer duty.